Alvaro Morata met Chelsea royalty on Wednesday afternoon as Didier Drogba returned to Chelsea’s Cobham training ground to catch up with old friends. Morata signed from Real Madrid in a big-money deal this summer, £70M as per the Independent, and has has big boots to fill if he is to become one of Chelsea’s all-time top scoring players. The Spanish striker posed for a picture with Drogba and is sure to have asked the former Chelsea player for tips ahead of the Everton game. The Ivorian striker scored 157 goals in 341 appearances for the Blues, winning everything there is to win in the English game. 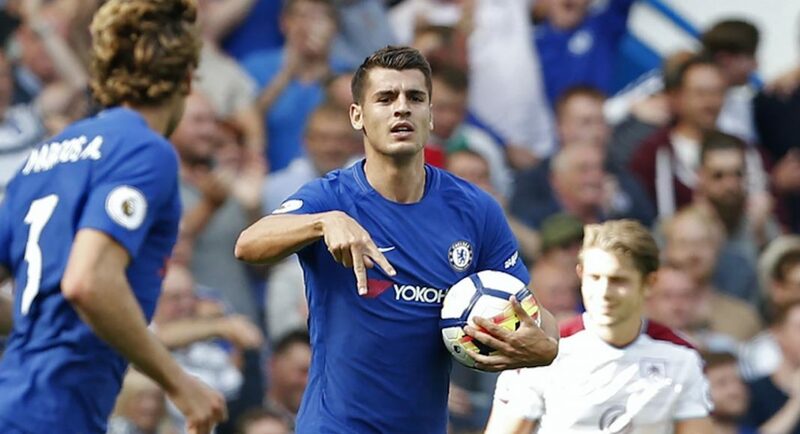 Alvaro Morata has made a good start to his Chelsea career, scoring on his Premier League debut at Stamford Bridge. Just 156 goals until he matches Drogba’s total!